Jake Owen is bringing two rising stars to center stage for the Singer/Songwriter Happy Hour, a new addition to the annual Jake Owen Foundation Benefit next month in Vero Beach, Fla.
Angie Keilhauer and Larry Fleet will headline an evening focused on songs and the stories behind them on December 7 from 4-6:00 p.m. at Heaton's Reef at Kimpton Vero Beach Hotel & Spa. Admission is free, and a portion of all Heaton's Reef food and beverage sales from the event will benefit the Jake Owen Foundation. It was only five years ago when Keilhauer left her job at an auto salvage yard to work full-time as a musician on a cruise ship. After a short stint on the cruise line, she focused on a rigorous touring schedule to build an audience throughout the U.S. and Central America. Keilhauer soon developed an even larger following after appearing on The Voice in 2016. In 2017, RollingStone.com named her as “One of the 10 New Country Artists You Need to Know”. Her bilingual records have hit the top of the charts in her native El Salvador. Keilhauer is managed through Good Company Entertainment, the management firm founded by Jake Owen, Keith Gale and Jon Andolina. Fleet grew up listening to gospel, bluegrass and country music in his hometown of White Bluff, Tennessee. By the age of 7, he was playing guitar in a bluegrass group at the iconic Ryman Auditorium. That was just the beginning for Fleet, who says his inspiration comes from storytelling songs and the art of songwriting. He also lists a diverse range of musical influences including Willie Nelson, Otis Redding, Merle Haggard and the Temptations. Fleet was hand-picked by Jake Owen to be a contestant on Real Country, the new USA Network country music competition show where Owen, Shania Twain and Travis Tritt serve as hosts who select the contestants. 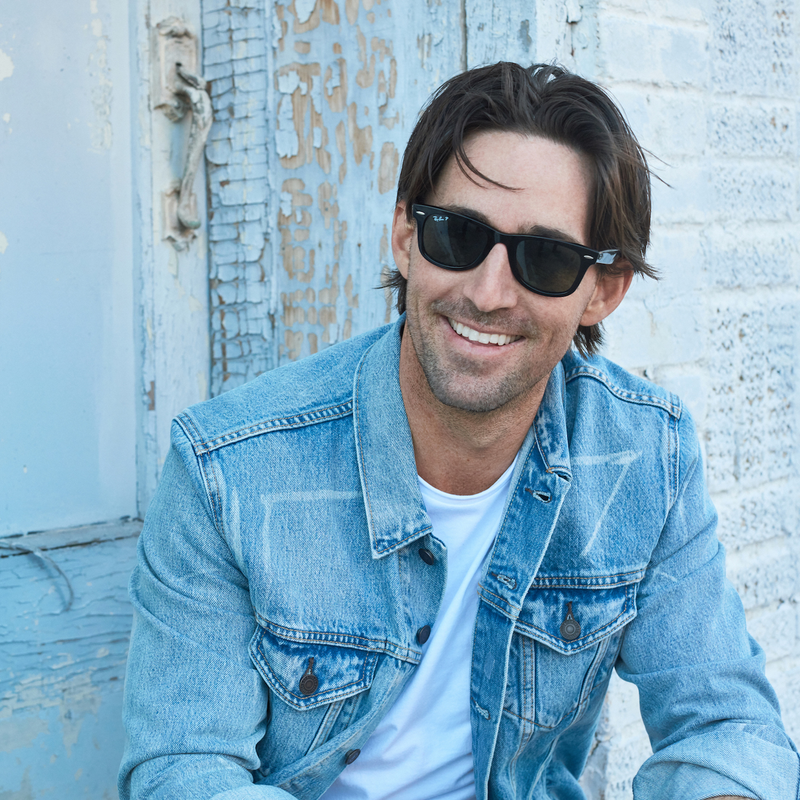 The Singer/Songwriter Happy Hour is one of several events on a packed schedule of Jake Owen Foundation Benefit activities, December 7-9, in Vero Beach. The annual charity event will continue the successful history of increasing awareness and raising funds to assist youth nationwide through St. Jude Children's Research Hospital, and in Indian River County through the Boys & Girls Club of Indian River County and other local charities. Today, the Jake Owen Foundation has expanded its mission of helping people in the places they call home while supporting the beneficiaries who have been a part of the Foundation since its inception. Founded in 2010, the Jake Owen Foundation has raised more than $1.4 million since its first fundraiser in Vero Beach. The charity weekend kicks off on December 7 with the Singer/Songwriter Happy Hour at Heaton’s Reef at Kimpton Vero Beach Hotel & Spa. The benefit continues Friday night at the Vero Beach Country Club with “An Evening with Jake”, a VIP reception and performance sponsored by Dale Sorensen Real Estate. Guests will enjoy a dinner, auction and a special intimate Jake Owen performance. Hale Groves, Florida's largest gift fruit shipper, is the title sponsor for the two-day golf tournament at Vero Beach Country Club, December 8-9. The lineup for the Hale Groves Indian River County Grapefruit Golf Pro-Am Invitational Tournament is expected to include Owen, NASCAR Champion Kevin Harvick and PGA star John Daly. Teams for the Hale Groves Indian River County Grapefruit Golf Pro-Am Invitational and tickets for the VIP event are sold out, however event organizers have added a few limited sponsorship packages which are available for both by calling C & H Events at 561.394.9190. The backing of the impressive lineup of sponsors and patrons will result in an equally impressive concert lineup for thousands of country music fans when Owen hits the big stage at the Indian River County Fairgrounds on Saturday, December 8, for the Jake Owen Foundation Benefit Concert. The benefit concert will be the final stop on Owen's 2018 “Life's Whatcha Make It” Tour. Owen will be joined by the legendary Joe Diffie, chart-topping country star Chris Lane and platinum-selling country breakout artist Morgan Wallen. Gates open at 4:00 p.m., with the concert set to begin at 5:00 p.m.
Tickets for the Jake Owen Foundation Benefit Concert are available at the Jake Owen Foundation website or by calling 866.333.7623. General admission tickets are $45, with premier reserved seats available for $100. After the original allotment of pit passes quickly sold out, concert organizers have opened up a limited number of additional pit passes for $100. A VIP ticket package is also available for $150, which includes a reserved premier seat, a limited-edition Jake Owen Foundation t-shirt and early entry. The Jake Owen Foundation Support Sponsor ticket package includes eight reserved premier seats in the first 10 rows, a listing on the sponsor board and a limited-edition Jake Owen Foundation t-shirt for $1,200. The VIP Reception sponsor for An Evening with Jake is Dale Sorensen Real Estate. Official event sponsors for the Jake Owen Foundation Benefit include Bud Light, Hale Groves, Riverside Café and iHeart Radio (WAVE 92.7). Gold sponsors are George E. Warren Corporation, RiverView Senior Resort, Gibson Produce, Jim & Billie Ellis Foundation, John's Island Real Estate, Cheryl Martin, The Pitcher Family, Bob and Marta Schneider, VERO Spin, and Jennifer M. Watson. Silver sponsors are Addiction Campuses, Proctor Construction, Proximo Spirits, Seaside Construction and The Yates Family. Kimpton Vero Beach Hotel & Spa is the host hotel for the weekend, including the Singer/Songwriter Happy Hour at Heaton’s Reef. The hotel will donate a portion of all food and beverage sales from the event to the Jake Owen Foundation. The Vero Beach Country Club is the host venue for both the VIP event and golf tournament. © The Jake Owen Foundation. All Rights Reserved.